Celebrating the birth of William & Mary by Royal Charter, Charter Day festivities involve students, faculty, staff and alumni, as well as the local community. In addition to the Charter Day Ceremony at Kaplan Arena, other highlights of the weekend will include the AEF Lord Botetourt Auction and the Alumni Medallion Ceremony. Traditions Weekend honors three distinguished groups in the William & Mary community — the 50th Reunion Class, the Olde Guarde and the Boyle Legacy Society. This customized experience includes engaging programming and special events to build on the traditions alumni, parents and friends hold dear while reconnecting members with each other and the campus today. Join us for one extraordinary day of giving back and paying it forward. From Tokyo to San Francisco, the Tribe community will gather on One Tribe One Day to celebrate all that makes William & Mary special. Reconnect with alumni and friends in your area and add your energy and support to our fifth annual day of giving! Every October, all roads lead home as alumni and friends gather on campus for Homecoming & Reunion Weekend. Featuring more than 170 events, including the Homecoming parade and football game, there are plenty of opportunities to fall in love with William & Mary all over again. W&M Weekend brings together the Tribe faithful for one extraordinary weekend every year in a spectacular host city. 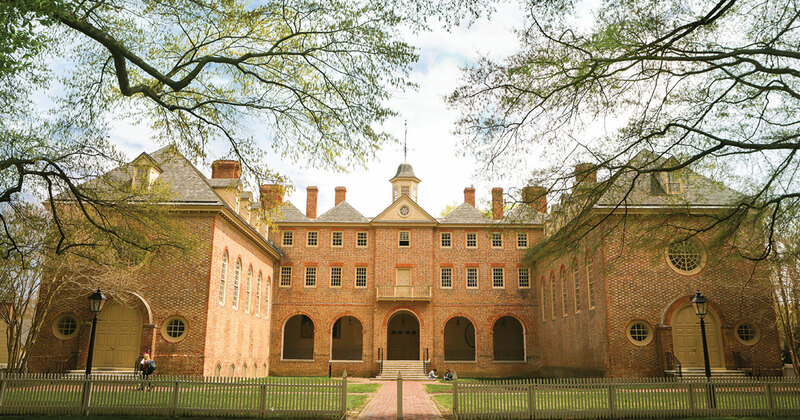 Showcasing the best of William & Mary and the best of the host city, W&M Weekend offers opportunities for alumni, parents and friends to connect, discover and celebrate. Previous William & Mary Weekends have been hosted in New York City and Washington, D.C.